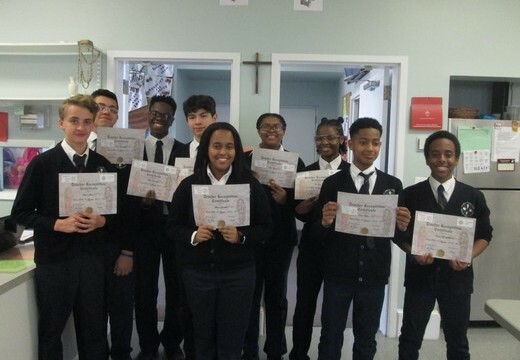 Here at St. John’s there are several types of Academic honors that a student can attain: Academic Aces, Principal Honor Roll, Pastor Honor Roll, Student of the Month, and Messenger of God. 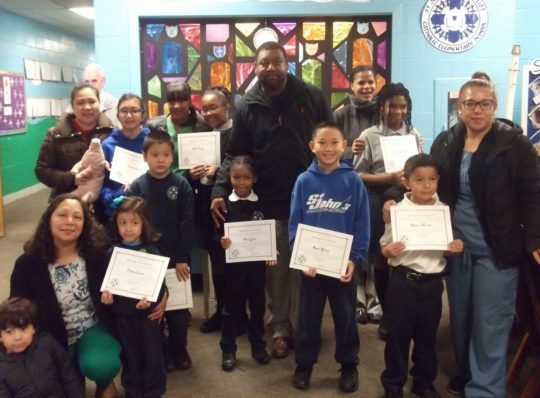 Academic Aces is awarded to those students grades Pre-k thru 8th Grade for showing Academic Excellence in all academic subject areas. 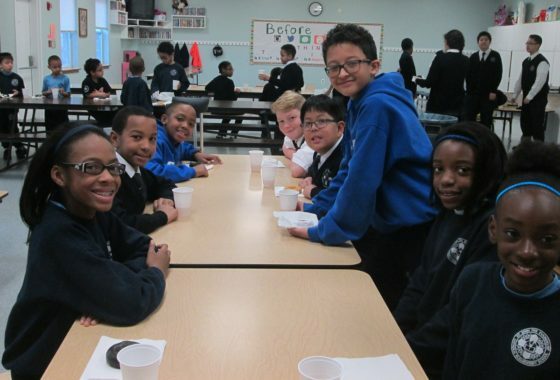 These students earn all A’s or excellent in all subjects. 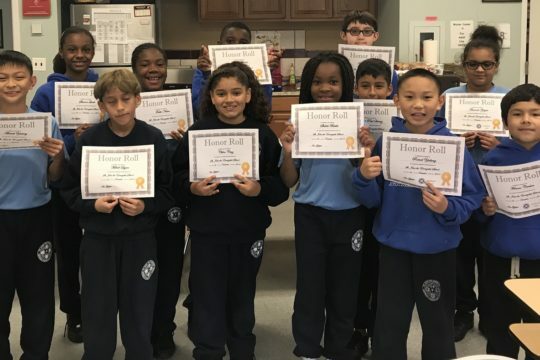 Principal Honor Roll is an award and an acknowledgment to those students’ grades 4th thru 8th that who earn all A’s and B’s in a quarter. 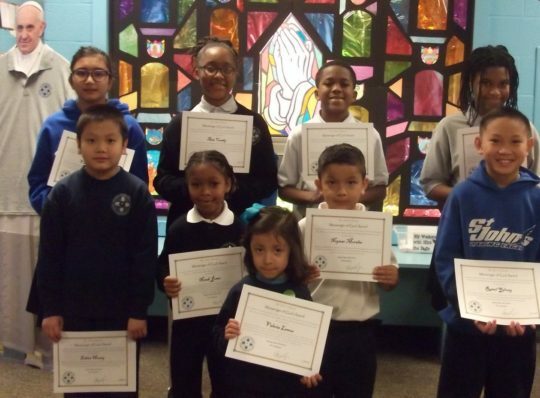 Pastor Honor Roll is an award and acknowledgment to those students grades 4th thru 8th that earn all A’s and B’s in a quarter- but must earn an A in Religion Class. 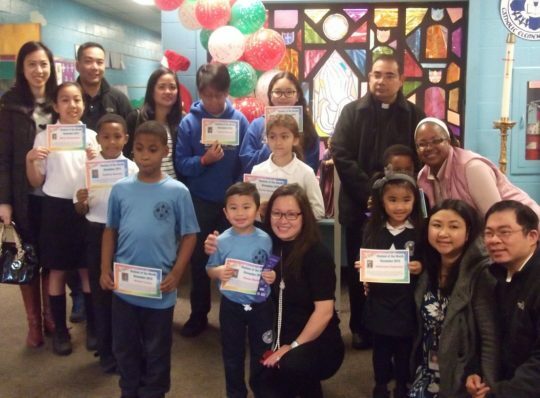 Each month a student in Pre-K thru 8th grade is acknowledged by his or her classroom teacher for displaying Christ like behavior, wonderful improvements, and being an all-around great citizen! 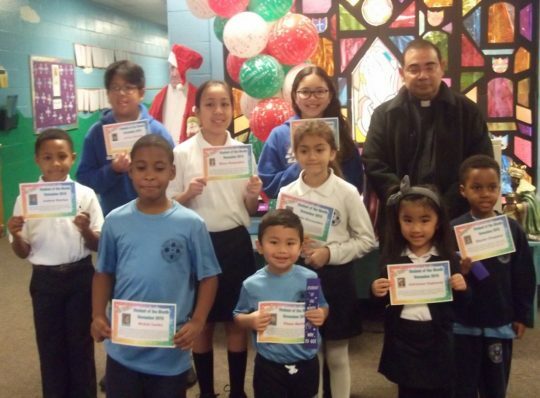 The Messenger of God award is presented to one student per class, Pre-K thru 8th grade, each quarter. 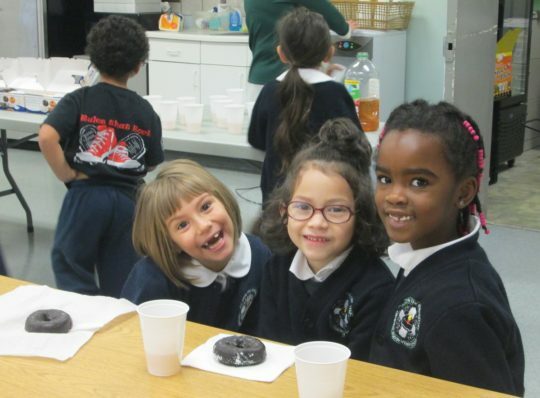 This student has exhibited Christ-like behavior throughout the entire quarter and is a living example of our mission of becoming a Citizen Disciple of Jesus Christ.